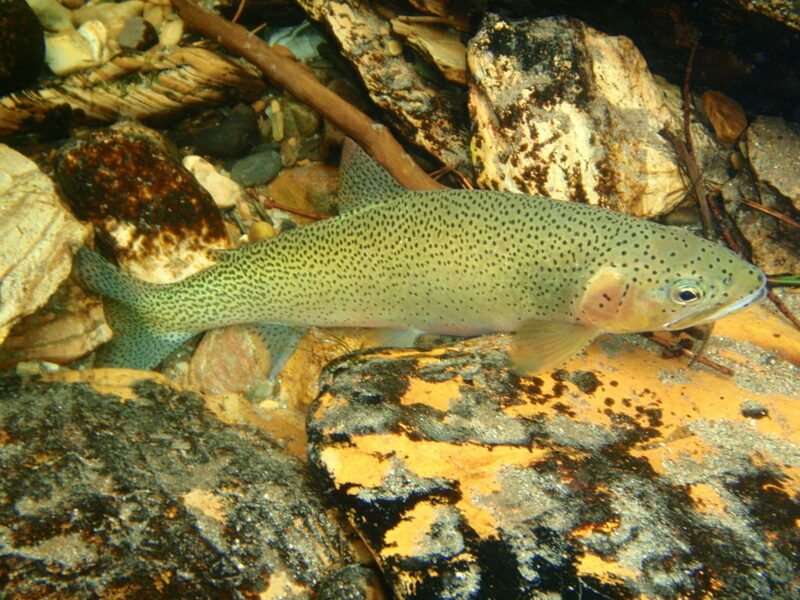 The Skookumchuck River is a small free stone tributary of the Kootenay River possessing some of the largest wild West Slope Cutthroat in the region. 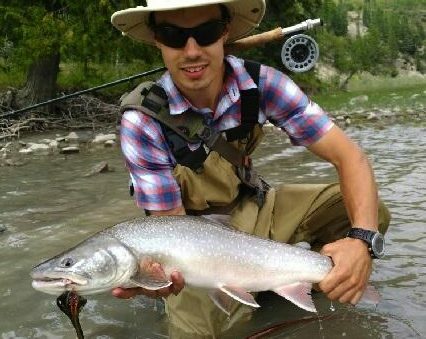 An average fish will go 16 inches with some big guys over 20. 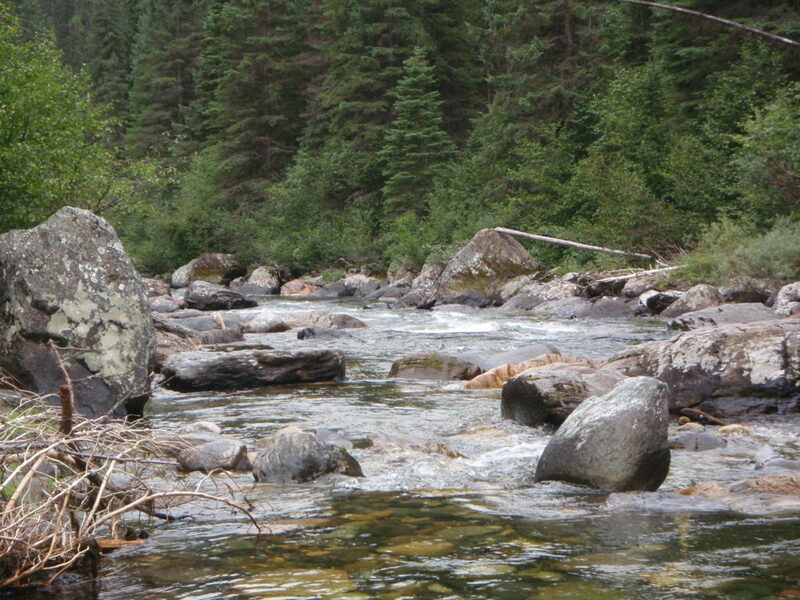 The Skookumchuck is our primary walk and wade stream. 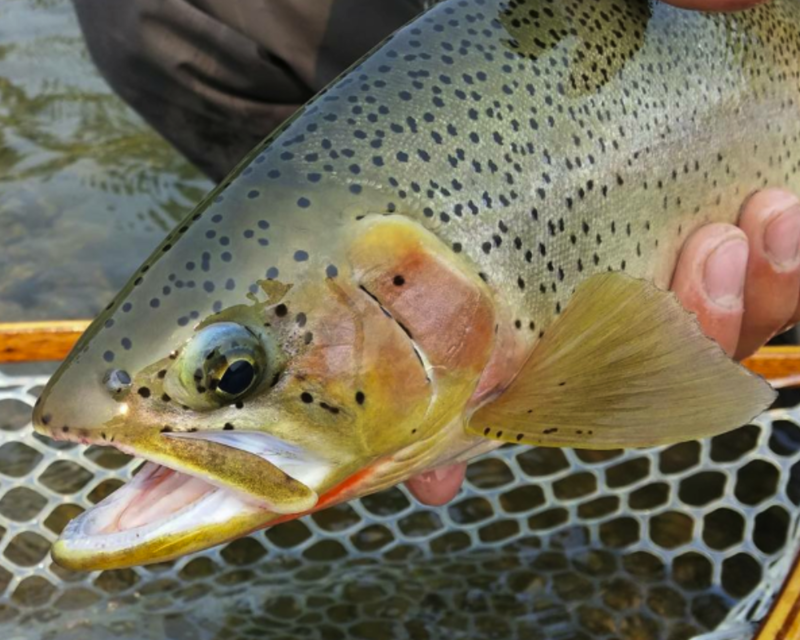 It offers the beginner or advanced angler the opportunity to fish a truly pristine piece of water with a good chance of catching Cutthroats that are measured in pounds not inches. 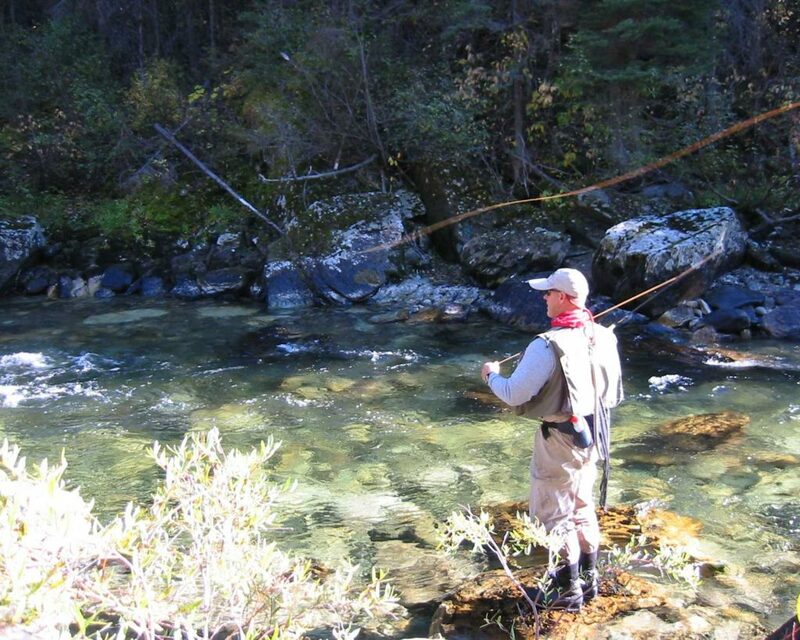 This trip calls for a moderate one hour hike down along the River and into the canyon reach where we prefer to fish. 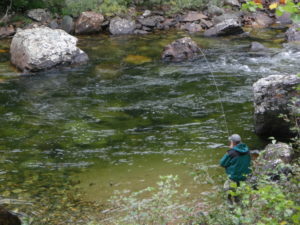 Because of a prolonged spring run off, the Skookumchuck does not start fishing well until mid July. At this time attractor patterns work well. Hoppers and other terrestrials are best through August and September. 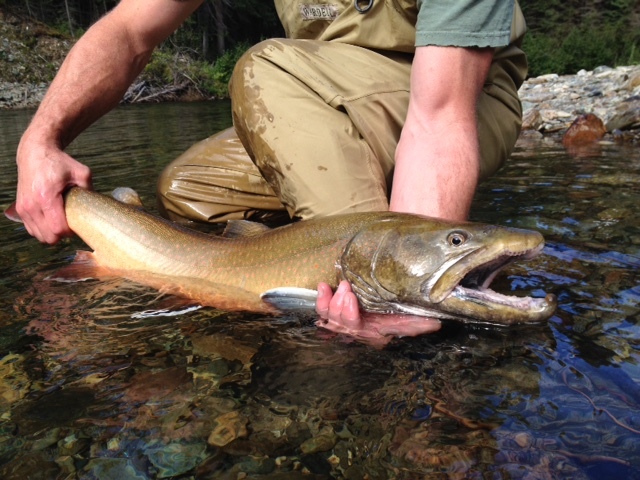 As October cools off it brings good hatches of Blue Wing Olives and Green Drakes.